This article is sponsored by Indiegogo, a crowdfunding platform where all ideas get an equal shot at success.  As a sponsored post, it reflects the views of the sponsor, not ReadWrite’s editors. 2015 was a huge year for tech, with products ranging from wearables to connected Internet of Things devices to consumer 3D printers hitting the market. As inventors invent and innovators innovate faster than ever, there’s no surprise that more and more people are turning to crowdfunding as a way to turn their ideas into reality. These 10 hot new gadgets raised money through crowdfunding on Indiegogo and are the perfect gifts for this holiday season. Make a statement with Axent Wear Cat Ear Headphones. Combining functionality with fashion, audiophiles can now enjoy their music while also expressing their personalities. 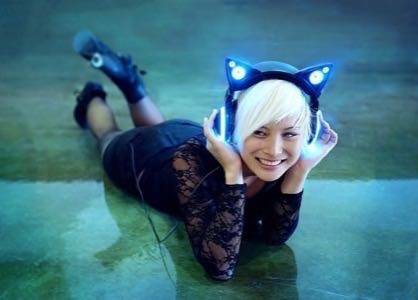 The unique cat ears light up with colored LED lights of your choice, and also work as speakers, so you can listen to music with friends. Switch them off and listen to high-quality sound through cushioned earcups designed to mold comfortably to your head, reducing noise. The detachable boom mic makes it easy to switch from music to gaming, giving you the coolest headset around. Choose from blue, green, purple or red for the purrfect gift. Axent Wear Cat Ear Headphones are available in stores or online at Brookstone. 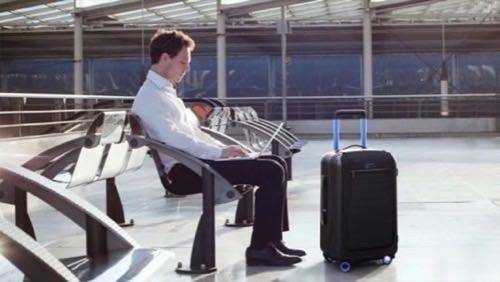 Never lose your suitcase again with Bluesmart—smart, connected luggage. The innovative technology and sleek design makes it the perfect holiday gift for the frequent traveler. Lock and unlock it, weigh it, track its location, be notified if you are leaving it behind and learn about your travel habits—all from an easy-to-use app. Plus, the built-in battery has enough juice to charge your phone six times. Bluesmart was designed with you in mind, with easy access to all your devices, lightweight polycarbonate construction, four spinner wheels, and a TSA-approved lock. Bluesmart is available for preorder on Amazon and in stores and online at Brookstone. Tired of wires cluttering your life? Get rid of them with the Airtame wireless display device. Simply install the app on your device and stream to Airtame wirelessly over Wi-Fi. Anyone can walk into a conference room and start presenting seamlessly, easily controlling presentations so you can pitch perfectly every time. 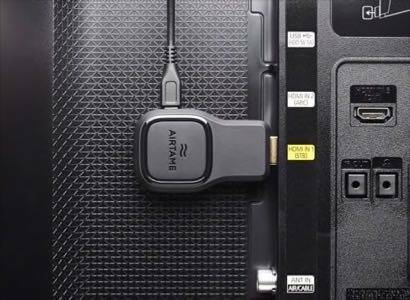 All you need is a free HDMI port for Airtame and power either via USB or AC adapter. Work better wirelessly this holiday season with Airtame, compatible across all major platforms. Airtame is shipping now on Indiegogo and available online at Brookstone. 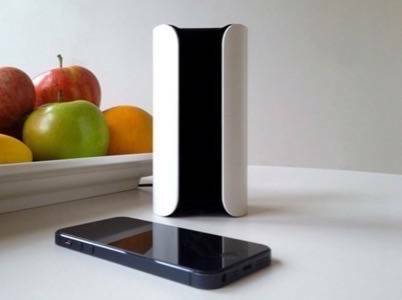 Protect your home with the Canary smart home-security device. Don’t be fooled by its simple and sleek design: The Canary is packed with smart sensors that empower you to keep your home safe and secure, all via your mobile device. An HD night-vision video camera and multiple sensors that track everything from motion, temperature and air quality to vibration, sound and activity will help keep you, your family, and your home safe. Canary will alert you anytime it senses anything out of the ordinary via your iPhone or Android device, giving you the capability to react instantly wherever you are. Sound the alarm, call your neighbors or alert the authorities with a simple touch from your phone. Canary is available at Brookstone and Amazon. 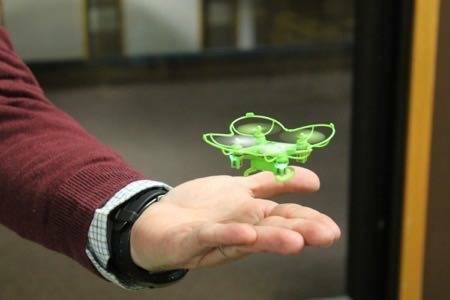 Drones are the hottest trend this year, and Axis Nano Drone is the perfect quadcopter for beginners to learn how to fly. The six-axis gyro flight system, built-in blade guards, and removable landing skids make it the most beginner-friendly drone out there. With three speed settings, 360-degree flips and rolls, LED lights for nighttime flying, 5–7-minute flight time, and a 150-foot flying range, this ultralightweight, affordable drone is the ideal present for anyone. The Axis Nano Drone is shipping now on Indiegogo. 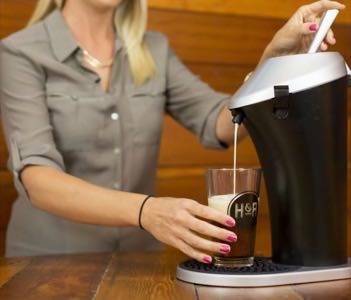 Make any store-bought beer taste like fresh draft beer with the Fizzics Beer System. Enjoy an expertly poured pint as the brewers intended your favorite beer to taste. Fizzics controls pressure flow, fluid and gas dynamics to create a rich, creamy head that enhances the appearance, texture, smoothness, and taste of any style of carbonated beer. Simply put your beer into the unit, place the tube into the beer, close the lid, and pull the tap handle to pour the perfect beer. The Fizzics Beer System is available for preorder on Indiegogo and at Brookstone. Channel your inner child with the V4 Pogo Stick, an air-powered pogo stick. Simply add air to create a stiffer spring and remove air to create a softer spring. 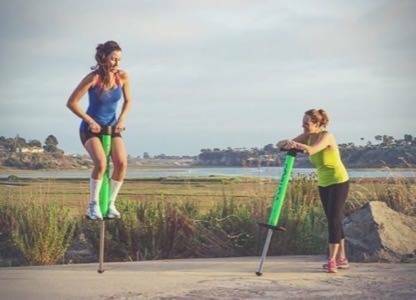 The V4 Pogo Stick can catch up to eight feet of air, making it the ideal gift for anyone who weighs 75 pounds, is looking for a great, fun workout, and has always dreamed of flying. Don’t forget your helmet! V4 Pogo Stick is shipping now on Indiegogo. 3D printing is becoming more and more consumer-friendly thanks to printers like the New Matter MOD-t. Available in black or white, this 3D printer features breakthrough technology to make printing more consistent and the unit more affordable. The two-axis motion system simultaneously moves and supports the build plate with very few components, enabling you to get great results every time. 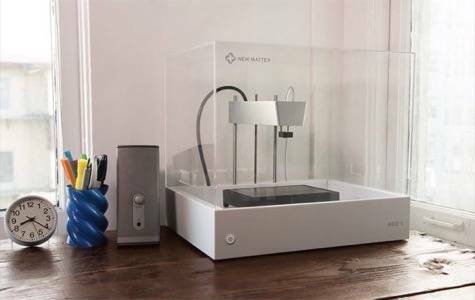 New Matter MOD-t 3D Printer is available for purchase on the company’s website. Are you spending the holidays on a tropical island, enjoying the beach and waves? You’ll need the Mighty Speaker, a waterproof, sandproof, floating Bluetooth speaker that will let you play your music and take hands-free calls wherever you go. Control your music right from the speaker itself and bring it wherever you go. The rechargeable battery lasts up to six hours. It’s the perfect stocking stuffer for this holiday season. Mighty Speaker is shipping now on Indiegogo. Though you probably already own a fitness tracker or two, health technology is taking it to the next level with the Skulpt Aim. Measure your own body-fat percentage and muscle-quality score so you can exercise smarter and get fitter. By measuring fat loss rather than weight loss, you can learn more about your body and strengths and track your way to a stronger self. Skulpt Aim is available for preorder on Indiegogo. These 10 products were all crowdfunded on Indiegogo and make great gifts for this holiday season, whether it’s for your techie friend, family member, or yourself. You can help make the next hot tech product happen—explore the technology campaigns on Indiegogo!